There are a few steps in the second stage of digestion. First, there are the teeth. The teeth rip, tear, and grind the food. Also, the nose you taste the food. Then there is the tongue which also helps you taste your food. It helps your back teeth roll the chewed food into a bolus. While the back teeth do this, your salivary glands produces saliva to moisten the bolus. Then the bolus goes down the pharynx which is connected to your esophagus. The esophagus moves the bolus down to your stomach. Did you know that a lot of things happen when the bolus enters the stomach? The stomach is a digestive organ. First of all, the stomachs walls creates chemicals. Those chemicals break the bolus down into nutrients. Then the stomach walls mix the nutrients with the chemicals until it becomes a thick, soupy liquid. This liquid moves to the next organ. Now you know what happens in the second stage of digestion. Did you know that the 2nd stage of digestion is an important event. One important step is the stomach’s walls. These walls will produce chemicals that breaks up the bolus entered down the esophagus. Next, the walls sqeeze,relax,and repeats again and again. To do this it will mix up with the chemicals. Lastly, in between 4-6 hours the bolus is now an thick soupy liquid. Based on these facts the 2nd stage of digestion is very urgent. The next stage of digestion is the stomach. First of all, the bolus enters the stomach. Next the walls of the stomach produce chemicals that break down into nutrients. Then the muscles in the walls of the stomach squeezes and relaxes over and over. Then after four to six hours of squeezing and mixing, the bolus has become a thick, soupy liquid. Finally, the liquid moves into the next stage of digestion. The process of the stomach is the next stage of digestion. Did you know the second stage of digestion has a few steps? First, the food goes in your stomach. Next, the stomach walls produce chemicals in order to break it into nutrients. Then the muscles in the walls squeeze and relax over and over which mixes the bolus and the chemicals for 4 to 6 hours. Finally, the bolus becomes a thick soupy liquid that moves to the next stage. This is how the 2nd stage of digestion begins. Did you know a lot happens in the 2nd stage of digestion. To begin with, the stomach collects the bolus. The stage 2 digestion starts from the stomach. First, the bolus enters the stomach. 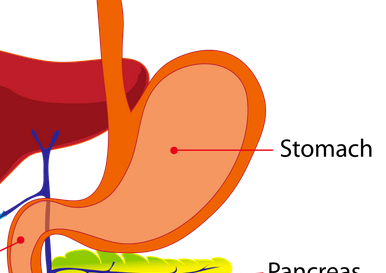 A the stomach is a organ with strong walls. The walls of the stomach produce chemicals that break the bolus further into nutrients. Next, the muscles in the wall of the stomach squeeze and relax over and over. 4 to 6 hours of squeeze and mixing the bolus has become a thick soupy liquid. Finally, the soupy is released into the system. When it is released it culminate in the main pancreatic duct. Now this is how a stage 2 digestion end. Did you know a lot happens in the 2nd stage of digestion. To begin with, the stomach collects the bolus. Secondly, the stomach is a muscular wall. That wall produces chemicals to break down the bolus. Last of all, after about a 4 to 6 hour period of squeezing and mixing the bolus becomes a soupy liqud. That all that happens in the second stage of digestion. Did you know there are a few steps in the second stage of digestion? First, the bolus enters the stomach.